With great sadness we honour our friend and colleague Kendall Betts, legendary hornist and teacher, who passed away from lung cancer on August 16, 2016. Our friendship with Kendall stretches back over forty years. One of the first major orchestras to hire Canadian Brass was the Minnesota Orchestra where he was principal hornist. We always looked forward to those appearances with the MSO knowing that we would see Kendall — sharing many laughs, lots of orchestral insights, his performance attitudes and untold hours of philosophical banter! In 2004, Kendall’s young protégé Bernhard Scully joined Canadian Brass, further strengthening our long relationship with Kendall. Bernhard has enlivened us with his memories of working with Kendall, first as a young student and then later as a performer in Kendall’s horn section. Kendall has been a major force in the international horn world. 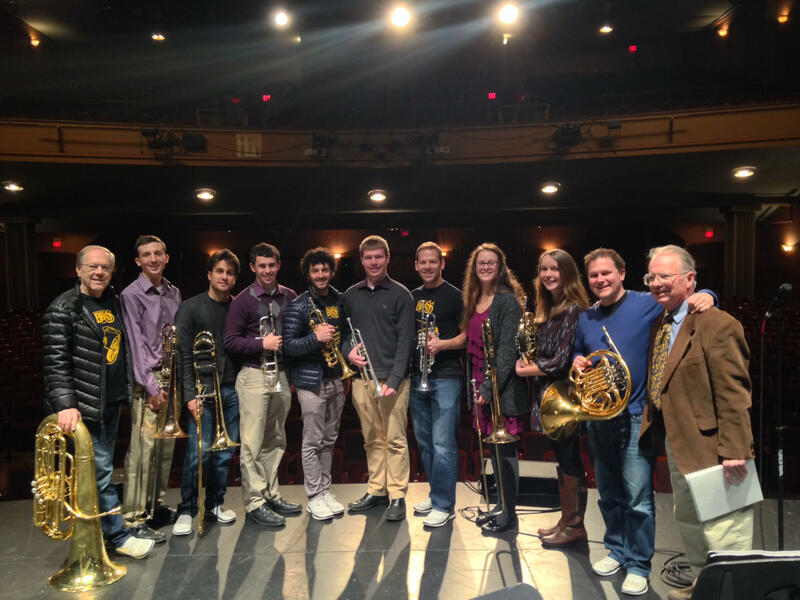 In 1995, he established the acclaimed Kendall Betts Horn Camp (KBHC) in New Hampshire, an intensive horn learning center for players and horn enthusiasts of all ages. This past week, with Kendall’s blessing before he passed, the KBHC Board of Directors voted to appoint Bernhard as the new Artistic Director of KBHC, carrying on the tradition laid down by his teacher. We are saddened by Kendall’s passing, yet proud that Bernhard will have the honor to carry on his work. So sorry to hear this. Although I never met him personally, we had corresponded on FaceBook. I have great respect for his artistry and his major contributions to the horn world. I’ve known Kenny, although not well, for the past 45 or so years, through Curtis, his superb playing, and his association with Walter Lawson. Rest in peace. I ve known Kendall for 20 yrs. I was his housekeeper, He spoke very highly of you all.. He really enjoyed his teaching. He talked all the time about his kids! RIP Kendall, I will miss you! When visiting the Southeast Hornworkshop last week at James Madison University, Harrisonburg(hosted by my former student, hornprofessor Ian Zook) i was told that Kendall had passed away. I am very sad that he is gone. I was part of the faculty at his horncamp for many years, and have many happy memories. Kendall , i still reasure our meetings.